The only people I know who consistently travel for their jobs are standup comedians (hi there, Motel 6 and Greyhound Express) and a few financial consultants (Minnesota to Phoenix to Minneapolis via Delta? Why, don’t mind if I do). In other words: the phrase “I travel for work” conjures up enviable visions of gilded plane wings soaring into sunsets and indulgent room service orders. Bring that down a few notches — hoarding free, paltry-smelling mini-soaps while making the most of your coach in-flight meal, which vaguely resembles a squid washed in marinara sauce — and we’re in the same ballpark as Reality. The consolation prize (for the consultants, not the comedians) is handsome compensation for the grueling hours spent trying to tap into airport wifi while handling group client calls. 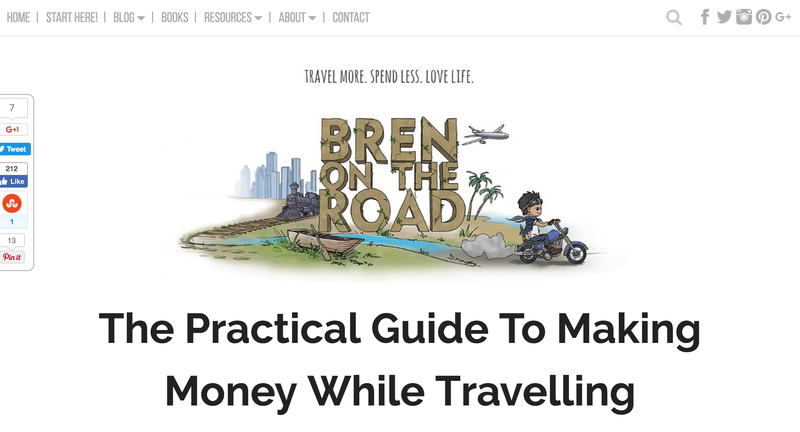 There are, however, mythical unicorn-like beings who’ve managed to swing a different arrangement: they travel places to find work and turn their left-behind dwellings and property into means of passive income that finances their travel. Sure, the compensation is never handsome, but the travel is exciting, varied, and full of adventure. If you’re willing to get your hands dirty (and live on a seriously streamlined budget while abroad…something I’ve fantasized about doing in great logistical detail), then read on, friends. 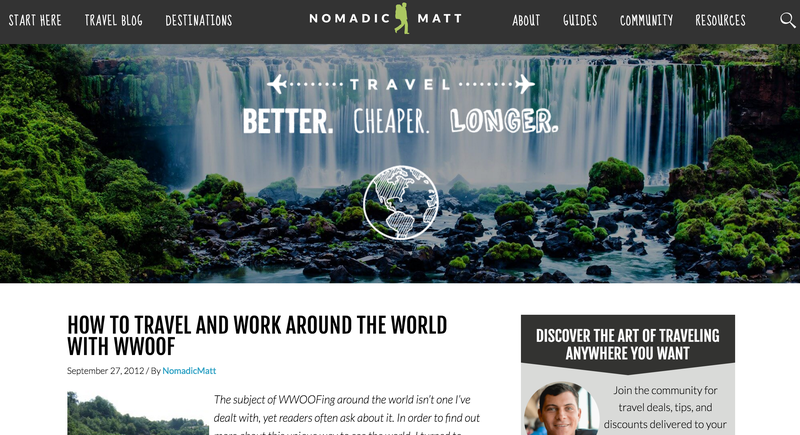 I’ve found a collection of articles — most written by travel bloggers — who have found ways to make money while they travel the world. 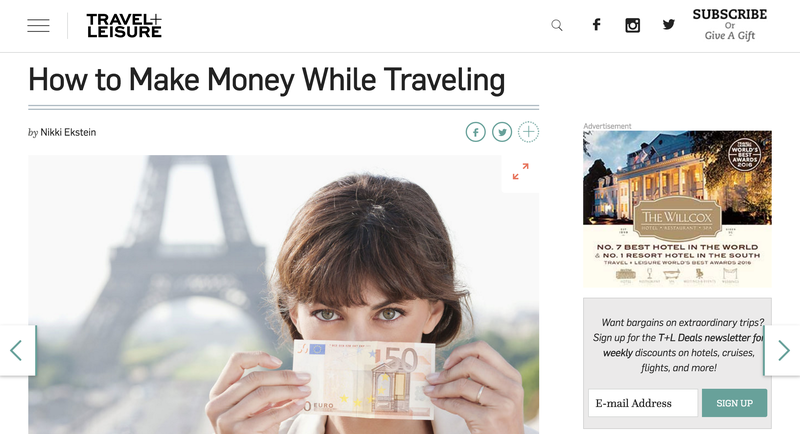 I found this article particularly informative because the author not only curates a list of suggestions for incorporating earnings activities into your planned travel routes, but also provides some great resources: a new (American) app that pairs you with people who have interstate delivery requests and are willing to pay you for the trouble of carting their (hand-carved chair, Ebay 100-gallon fish tank, etc) from one place to the next. She also outlines an interesting option for aspiring international couriers: a French startup that pays travelers to pack nostalgic, exclusively-available goods (Vegemite, peanut butter, fish sauce) in their luggage and deliver them to homesick expats who’ve taken up residence in the traveler’s destination country. 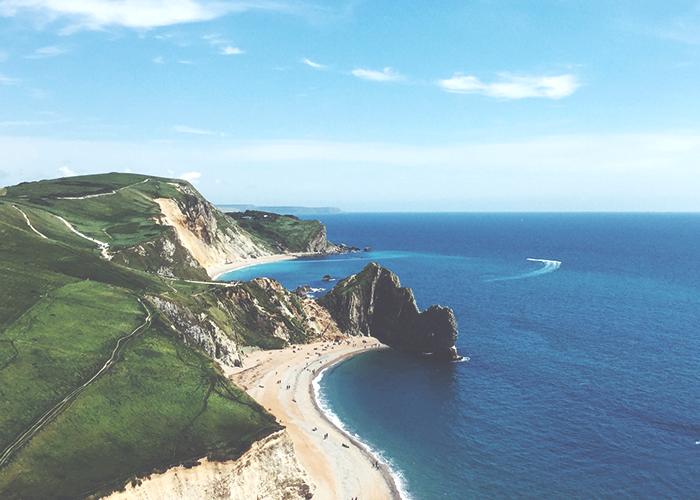 So, if you have a capacious hatch in the back of your cross-country volvo or an extra-wide suitcase that you don’t mind checking, working as a courier will provide you with income without taking you off-course or dominating your vacation schedule. Check out this article for details! This is a comprehensive, detailed guide to where and how Americans can go about getting a working visa: the author does a country-by-country breakdown, including the age range of eligible candidates and other, country-specific requirements (recent college grad, proof of available emergency funds, etc). If you’re an ace at paperwork and planning ahead for administrative deadlines (and you have a stunner passport photo that you’ve been dying to use in a visa application…that awkward smile! That disheveled hair! ), then a working holiday visa is a great way to broaden your work options while you’re abroad. In this article, the author explains how long these holiday working visas last, how much you should save for work abroad, the general timeline you should plan for while applying, and some programs that specifically look for holiday visa employees. Definitely worth a read. I love the article because of its cut-to-the-chase breakdown: the author breaks each earning option into clear categories of “Hours & Pay,” “Locations,” and (my favorite) “Resources.” Each breakdown offers inside-knowledge that the author gained by actually working these jobs, and he outlines a concrete How-To path that will help you find a work option that fits your goals (where you want to travel, how much time you want to allocate to play vs. work, and what skills will be required of you). If you’re an extrovert hankering after a Euro trip (and have a romance language burning a hole in your back pocket), working as a tour guide will use your people skills and linguistic agility to their full extent (all while exploring historic city sights on foot). If you’re a musician or you have a gift for customer relations (and some experience working in hotel hospitality), then cruise ship companies (which operate all over the world) can provide you with a livable salary, cool benefits, and a daily excuse to sing “I’M ON A BOAT, MOTHAF*CKA.” Check out this article for details and next steps! “World Wide Opportunities on Organic Farms” might sound like physically-intimidating, female un-friendly line of work. Which is precisely why my feminist little heart bloomed when I read this article; the blog author (a dude) turned to a woman (also a freelance writer) for farming advice. 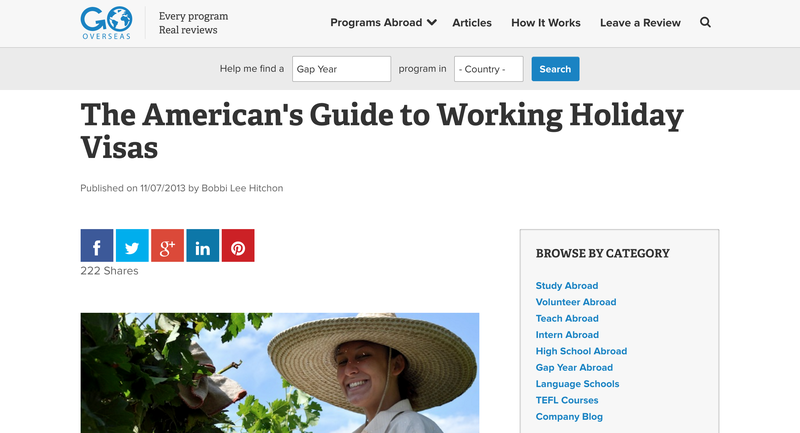 Her article is detailed, personally engaging, and sprinkled with links that will take you directly to WWOOF’s country directory and informational pages. Her anecdotes (about overcoming language barriers to re-negotiate risky or unreasonably difficult, monotonous manual labor) are especially valuable; whatever your values and level of independence, traveling solo as a woman requires specific considerations. It’s helpful to see how other ladies are hacking it. This post is a must-read for any outdoorsy travel hound who’s longing to unleash her inner Neville Longbottom (who slayed Herbology — and if you don’t know what I’m talking about, you probably didn’t have a childhood).